Good News For Yankees Fan Who Caught Jeter's 3,000th Hit : The Two-Way Companies are lining up to help out Christian Lopez, the fan who graciously returned the historic baseball — and might have to pay a hefty tax bill because of the gifts he got in return. His tax situation still isn't quite clear, but it looks like New York Yankees fan Christian Lopez is going to make out OK.
Christian Lopez; July 9, 2011. As we reported Wednesday, some experts were saying that Lopez might face a tax bill of up to $14,000 because of the gifts he was given by the Yankees last week after he graciously returned the ball that shortstop Derek Jeter smacked into the stands for his 3,000 career hit in the major leagues. Now, USA Today reports, "several savvy marketers — including MillerCoors, Modell's Sporting Goods and Steiner Sports Marketing — are offering wads of cash" to the 23-year-old Lopez. Miller has offered to pay any tax bill. 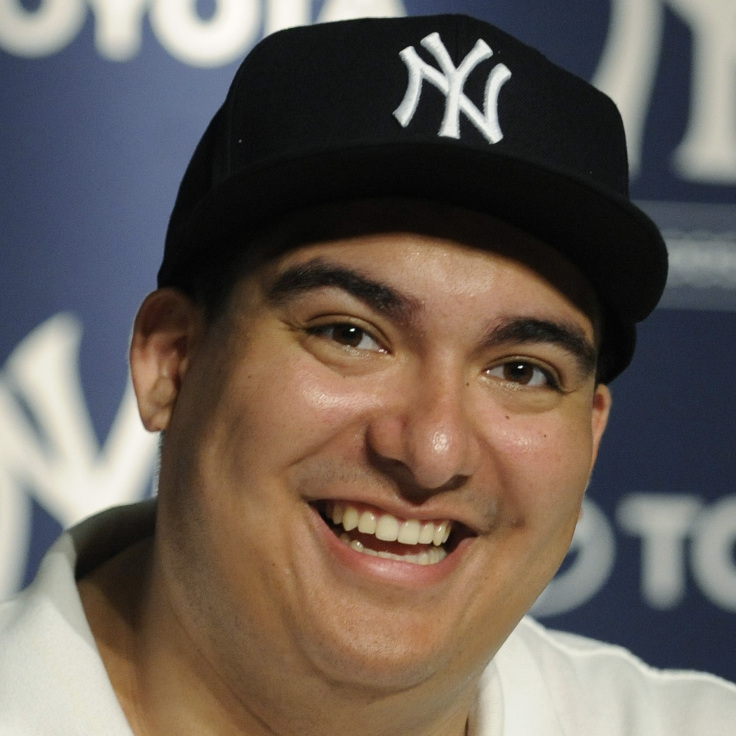 Modell's is donating 5 percent of its Yankee merchandise sales to Lopez this week. Steiner Sports is auctioning some memorabilia and will donate a minimum of $25,000 from the proceeds to the fan. New York's Daily News adds that Modell's President Mitchell Modell has given Lopez "his Yankees-issued 2009 World Series ring, valued at $40,000." On top of all that, Topps is producing a Christian Lopez trading card. Should Christian Lopez have to pay taxes on the gifts he got from the Yankees?